Preparation training for Judo referees. Recently, I had a great Twitter based conversation with @mewcenary about how Judo referees are trained for what is a pretty rough gig. This got me thinking about refereeing generally and about how we might innovate in the area of refereeing in Judo. So, the average Judoka does what two sessions a week, maybe an hour long? So 2 hours Judo a week? Elite players do much more. How many hours of Refereeing practise does the average referee do per week? Note, the question is how many hours of refereeing does a referee do per week. If an elite Judo athlete is training everyday, how much Judo refereeing is a elite level referee doing per week? I do/did take the point that many (most?) referees are in Judo clubs every week. But, is this relevant to the task of refereeing? A comment I have heard from a high level referee in the past is that elite level referees need to be involved in elite level athlete training. I wonder also how much actual practising of refereeing is taking place week on week? So the thought is this; if even your average Judoka (kids etc.) is doing about 2 hours a week preparation for competing, should the referees not be doing the same? If you read this blog regularly, then you'll know that periodisation is (basically) planning your training out in blocks, to build up to the goal. As a player, you'll be doing base training, then moving to harder training closer and closer to competitions. As a referee could/should the same theory be applied? Should our referees be planning out all their preparation over the long-term and working week on week towards goals? So perhaps like the Olympic Players, the Olympic Referees should be planning to a four year cycle? Should referees be creating training cycles with specific refereeing goals? For example, cycle 1 focus on developing their knowledge of the new interpretations on kumi kata (gripping)? Perhaps this broken down into weekly training (micro-cycles) which might include watching video footage from world cup and observing how referees at that level refereed the grips. Week 2, head down to a club and observe the gripping in randori. Week three, referee randori sessions. Week 4, attend elite training, observe gripping. Week 5, referee randori at elite training. Week 6, referee at randori whilst observed by high level referee. Week 7 referee a big tournament. Week 8 chillout. Perhaps this is a dumb idea, I don't know. Perhaps referees already do this sort of thing, again, I don't know. My concern and perhaps ignorant belief is that the main practise for refereeing is refereeing at competitions. So, what we end up with is players who are doing many hours of preparation per week having the outcome of their fights altered by referees who are doing no specific preparation for refereeing. I don't think I am being overly harsh here. I am not “bad mouthing: referees, I have tried it myself and decided it's too hard for me. It's all high pressure (even at kids events) and it all happens too fast for my brain! 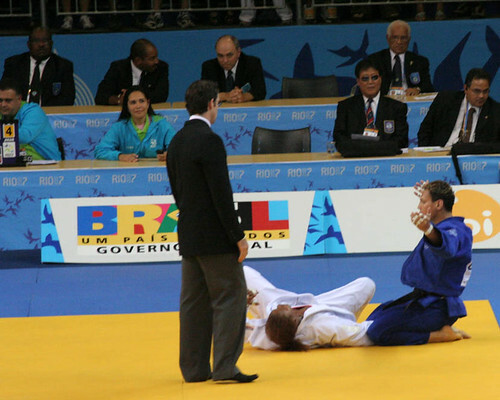 But, on the other hand, I get annoyed watching Judo and seeing errors being made by referees. I'd like to learn more about the formal preparation for referees, someone want to drop me an email and tell me about it? Skills for Judo Coaches working with Digital Natives. As the date for my little webinar on coaching digital natives approaches, I thought I would look at the sort of skills that Judo coaches in the new millennium shall need to best influence the players under our care. With email and blogging shall be important activities in a coaches life. You will need to be good at writing and better yet have a good understanding of why you need to write well. For me the best way to improve these skills is reading and writing regularly. Read other Judo coaches blogs (start at http://www.planetjudo.com and go from there), then write your own blog. You may also want to read a book or two on writing, “The Elements of Style” by William Strunk (Amazon USA /Amazon UK ) is pretty popular, and not too expensive, give it a try. For email, again read and write lots of emails. Get good at writing short, concise, clear emails that get the message across. There are plenty of guides to good email etiquette on the internet read some of them. Podcasting is the new blogging, at present there are only two Judo podcasts (1 & 2), how about starting your own?! You will want to develop the speaking skills and the audio production skills to be able to create your own little Judo “radio” show. There are plenty of great tools to help you make a show; Audacity will do pretty much everything you need and it's free. VodCasting (or VideoPodcasting) will be the new Podcasting. Much like audio, there are plenty of free tools out there to help you produce good video. Video production is trickier than audio but depending on what you are trying to achieve, not that “tricky”. The webcam on your PC and a website like Viddler or vimeo or even YouTube might be all you need. A camcorder and a basic understanding of lighting will produce pretty good results. In the internet age, we do not live in isolation, we are a community defined not by location but interests. Our interest is Judo and anyone, anywhere, can be part of that community and contribute. The most important skill may be the ability to acknowledge the contributions of others in the community. Learn how to reference (in the academic sense) and get good at managing your sources and link to them (or reference them) all the time and every time you build on someone else's efforts. Check out Zotero or CiteUlike or Delicious. Web design. These two things are not important if you are a Judo coach. They are if (like me) you are trying to innovate with new ideas and methods. For the Judo coach working day in and day out, you don't need these skills. 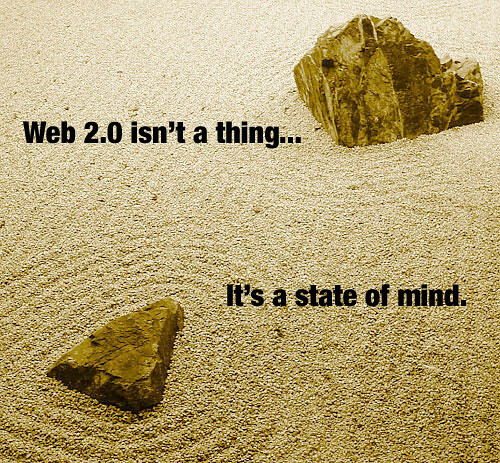 The new Web 2.0 age is about digital content, not about having a flash website with all the bells and whistles. What matters is the quality and quantity of the content you produce. Focus on the skills to produce good quality content. The free Webinar on Coaching Digital Natives, is on February 4th, 8:30pm GMT. Coaching Digital Natives Webinar. 4th Feb 2008, 8:30pm GMT - FREE! Hi all, I have decided to go ahead and run a Webinar on coaching Judo to Digital Natives (aka Young people). I have given similar talks at both the University of Bath and for the BJA at the national performance centre in Dartford. Shortly I shall be giving the live talk for the Scottish Judo Federation also hopefully. The webinar is a new project for me, I shall deliver the talk via a website with streamed audio and graphics etc. The big plus is that it is international via the internet, so the people that have emailed me from all over the globe can tune in. The Webinar shall be on Wednesday evening 8:30pm (GMT/UTC) on the 4th of February 2009. I am really excited about this webinar as it ways it is taking the concepts in the talk and applying them to share the concepts in the talk. My hope is that the 20 spaces available fill up quickly and that it will lead to other webinars. For example a webinar on "Blogging for Judoka" and perhaps on more Judo specific areas such as periodisation, notation, statistical analysis, nutrition, strategy, grips, specific throws, strength and conditioning, etc etc etc. It is quite a short time from today till the Webinar so please register today. Today, the www.PlanetJudo.com went down, I don't know why. It sadly took down the site for most of the day (if not longer). To resolve the issue, I ended up totally removing the software and installing the latest version (8.12) of the software that runs the site (www.moonmoon.org). Whilst updating I have removed Taraje's twitter feed as it is not very Judo specific now days. I am "this close" to removing his blog feed as it is rubbish nowdays... just spam for his darn DVDs. Please let me know if you have an opinion one way or the other on that ok. I also added a couple of blog sites, we are now up to 81 feeds. Not much longer to 100 perhaps? I have been toying with the idea of putting a workshop together "Blogging for Judoka". What do you think? It'd be a practical workshop covering both the technical matters of setting up a site and also the theory. I am considering the idea of an online session and also a real world session in London or such like. Again, please let me know your opinions? I'd be interested in both if you would be interested in attending such an event and also if we had costs to cover how much would be a reasonable fee for such and event. Drop me an email ( lwlw@judocoach.com) and let me know what you think? Great montage from the US Masters. World Judo Masters 2008 Training - Week 31/48. Structured Warm-Ups prevent injuries in training and competition. Demonstration of the new IJF rules. What to expect from Judocoach.com in 2009.